This outdoor filter fan can be used in outdoor enclosures where warm air has to be dissipated on account of increased thermic development. 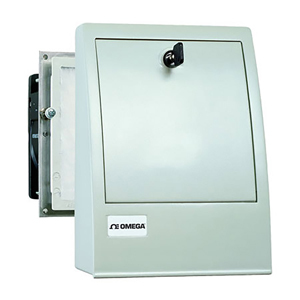 To clean and exchange the filter mat, it is only necessary to open the lockable door of the outdoor hood. A protection type of NEMA 4 (IP55) is achieved due to the special design of the hood and the use of fine filter mats. The plastic casing is impact resistant, highly weather proof and resistant to UV light.